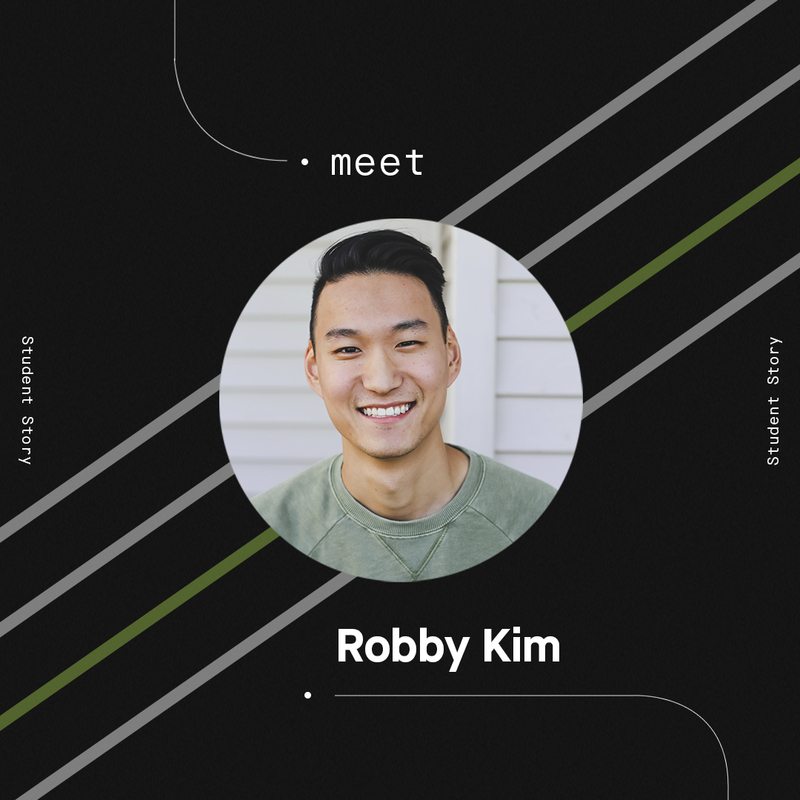 A former barista and tech support rep, Robby chose to dive head first into the world of code by enrolling in Thinkful’s Engineering Immersion program. Check out Robby’s thoughts on his Thinkful experience, mentor support, and becoming an experienced developer in the industry. What were you doing before you attended Thinkful? I have a bachelor’s of science degree in Architecture from the University of Michigan. Prior to my time at Thinkful, I had worked as a Barista at a local coffee shop and a Technical Support Representative for Thomson Reuters’ Tax & Accounting division. What made you decide to enroll at Thinkful? I really wanted to dive head first and do a full immersion program to learn to code. The biggest factors for why I picked Thinkful over other programs was the remote learning and transparency. I was able to learn in Ann Arbor without having to put the rest of my life on hold. It saved me a lot of money in terms of living expenses compared to a bootcamp in NY or SF. Thinkful was also very transparent about their process and success/failure rates compared to other programs. Was the Thinkful program what you expected? It was definitely different from other types of learning experiences I have had. It was the full immersion that I wanted, and I was able to learn alongside my cohort members. Having TAs, instructors, and mentors available throughout the course was great as well. I think the hardest challenge through the program was the algorithms portion. Having to think through problems with data structures and algorithms wasn’t something I was used to and it was easy to get discouraged. However, my cohort mates and TAs were great in pushing and helping me. The best part of the program was the projects. Being able to use what we learned to think on our own and build something from scratch taught me a lot. My mentor relationship was great. I don’t think it’s impossible to be successful without a mentor, but it definitely helped a lot in terms of getting questions answered. Receiving insight from an industry professional that understands industry best practices is invaluable. My mentor really went above and beyond and had various approaches to the same problem to show different ways to solve problems. What are you doing now since you’ve graduated from Thinkful in 2016? I’m currently a Software Engineer for Sana in Austin, TX. Finding job number two was relatively painless and LinkedIn played a much bigger factor this time around because I was moving cities. I definitely feel like a more experienced engineer and I can hold my own as a developer. Do you have any advice for potential Thinkful students? The biggest advice I could give is that being a software developer is a long journey – be prepared for that. Thinkful is a fantastic jumping off point but by no means is the journey over once you land that first job. I’m reminded everyday of how much I don’t know and have to learn, but that’s also what makes this career so much fun. Being a dev is a great career, but you need a certain level of grit to push yourself to learn and thrive outside your comfort zone. Thinkful will do a great job to prepare you for the working world. Thinkful teaches you how to learn on your own once you leave the comforts of the program. Have all the information you need? Apply now to our Engineering Immersion program to become a developer like Robby.